This has been a fun week as we met up in London with Meso Friends. A lovely day at Covent Garden although we were worried about Train travel as they closed Charing Cross Station because of the work at London Bridge where they are building a new station. Everything from the South east was going to Victoria but the roads were heavy with traffic and so people must have travelled in cars. So the journey was good and the underground easy. We had made arrangements to meet at the Lego Train which was easily found. The train is made out of 500,000 bricks and includes special effects such as sounds and lighting, meanwhile smoke emits from its funnel. Three carriages comprise the creation – one houses the engine and driver’s cabin, another is filled with presents, and the third is complete with a Christmas tree. At first he wasn’t happy to wear it but then he got used to it and now its hanging up waiting for summer so he can ear it again. We went to The Marquess of Anglesey for our lunch where we all had Fish and Chips and mushy peas. After a long chat and catch up we all had to part and go our separate ways and we got to a crowded Victoria Station but arrived home safe and sound very happy but I we had to get up early yesterday for the Royal Marsden. The journey was so short as there wasn’t much traffic on the roads so we arrived before 7.30, far to early. Bloods were done and passed by the time I saw the Doctor so the drug was confirmed at 10am. I didn’t go straight to the restraint I kept seated and good job I did as the fainting feeling started. There is no reason for this. It only happens this bad at the hospital every two weeks. Im light headed sometimes but I really must be allergic to the hospital. All my vital signs are OK and I had a biscuit and a cup of tea. Blood sugars are Ok. I was shivering but another patient said she was as well. I must put up with it for another 7 times. The Nurse said that when I come off the trial in May I can keep my PIC line in if I choose so that they can use it for the contrast. I agree to that as it is so much easier and I have got so used to it being there in my arm that I dont notice it now. We waited and waited and my drug was the last as usual but this was horrendous waiting for it to come up after 4pm. They kept saying sorry but they had been short staffed as well as all the extra patients that had to come in due to the close down for New Year. When it finally came up a man said to me Oh your the long standing keytruda patient Mavis isn’t it. He said he just sits there all day testing bloods but some patients do stand out and Im certainly one of those. He is going to read my blog so I will say he tests my blood very officiant and never holds things up. ha ha !! So with the drug in my veins at last we came home saying see you next year. I would like to wish all my family and friends and all the readers of my blog a very Happy New Year I never even dared hope to see 2016 but Im going to I hope it is a Good Year for us all. A Diary Of A Mesowarrior Living With Mesothelioma Christmas with the Family and Sales ? Christmas eve we loaded all the presents into the M/Home and travelled the other way round the M25 as our son had moved from Wexham right on Christmas. They still wanted to do a Christmas and insisted we came up to them as we had a special one to celebrate. Im still here to share it with them. Im amazed at their sentimental way they treat this as they really do care. Ok its nice my son does but so amazed my DIL feels the same way and I reveal in the love. Arriving through the stream of traffic going up the M1 on oits way to taking people North to their families. We pulled up and found the drive was a bit narrow so Our DIL jumped in and backed the M/Home in. They had their cars parked on the grass and sinking in mud. So their first job will be getting a new block paved drive made up. Their new home is lovely the man that sold gutted the bungalow and made all new rooms and put in brand new rooms and equipment. Just like a new build. Even the fridge hadn’t been used. So we settled down to enjoying a good time and lots of presents, food and booze. They put us in the Creche (thats what they called the Cafe) we had a coffee while they bought the shop. Travelling up stairs in the lift got in one side and had to turn to go out the back. We didn’t do that and the lift had stopped and we waited for the doors to open. There was a roar of laughter and we turned round to discover we get out the other side. Whoops. We had walked around the store but there was so much there and I hadn’t made a list much to rays relief. That was it a ride back home to more food and more laughter. Paper hats pork, beef and trifle. later Christmas Cake and a very full tummy to go to bed with. This morning we had to say goodbye travel home amongst the sales queues going into Lakeside and Bluewater. Arriving home the washing went on and caught up on the computer. Opening presents under the tree so that is another Christmas over but it has been very special. Secret Santa has been funny this year as we picked the names and gave people the same advert for a mug to put the name on. Mine came to me and then I had to send it to my SS which was Lesley ann. she kept saying it hadn’t arrived so I sent a dragon Fly Bag just in case the mug did turn up. He still hasn’t as yet. We will find out soon who sent the presents. A dear Mesowarrior had died this morning. We had to say goodbye to Henk Van Plaggenhoef. He loved moving pictures that were around at Christmas and we shared so many. Well we are now rolling onto Christmas, all the presents are bought and cards sent. I have done a donation to charity for those I didn’t send. The post is really silly money nowadays. Ray has had one from his old Army pal. a friendship that has been strong through thick and thin and they are now sounding like to old codgers as they recall their memories of the good old days. Bless them. The shops are so full of people. So crowded that I have managed to get everything and hope not to have to touch them again. I had a very odd email today and was asked to read through a book a Doctor has written about Mesothelioma. I have proof read and made some notes back and I will put a link up when it is published. It just amazed and shocked me what a lovely request. That the thing with a computer, you just never know what a day will bring. I also had a compliment yesterday on my things I report on Asbestos and a diner date. Talk about make me happy and smile. I love the twist and turns of my life good or bad it never gets me down. Government bows to pressure from the Legion and its supporters, to better compensate veterans suffering with Mesothelioma. Thousands of veterans with asbestos-related cancer are set to benefit from increased compensation pay-outs thanks to a campaign spearheaded by The Royal British Legion. The Government has announced that veterans with Mesothelioma contracted during Service can now choose to receive a lump sum payment, or regular smaller payments, to help them and their families cope with the disease. Under the new proposals all veterans diagnosed with Mesothelioma on or after 16 December will be given the choice between receiving a traditional War Pension, or £140,000 in lump sum compensation. This will help close the gap between the compensation that has hitherto been available to veterans compared with the much larger sums that civilian sufferers have been able to access. The Royal British Legion has welcomed this move, but has said it will continue to push for a small group of around 60 veterans currently in receipt of a War Disablement Pension to be able to access the new lump sum compensation. Chris Simpkins, Director General of The Royal British Legion, said: “The Royal British Legion welcomes the Government’s announcement that from 16 December 2015, all veterans diagnosed with Mesothelioma as a result of Service will be able to apply for a lump sum compensation payment. “The fact that many veterans formerly received significantly less compensation than their civilian peers was in clear breach of the Armed Forces Covenant, which states that members of the Armed Forces should face no disadvantage because of military service. “The Legion has long maintained that veterans should be compensated fairly for their suffering, and we commend the Government for taking steps to address this important issue. However, we remain disappointed that around 60 veterans who are currently in receipt of a War Disablement Pension for Mesothelioma will be unable to apply for the new lump sum compensation award. The Government has said that legislative provisions will be made to enable lump sums to be paid from 11 April 2016, although payments will be backdated to 16 December 2015. Mesothelioma is a particularly aggressive form of terminal cancer that affects the ‘pleura’ of the lungs, and which is almost always caused by exposure to asbestos. The cancer can take decades to materialise but, once diagnosed, most sufferers will have a life expectancy of only one to two years. Find out more about the Legion’s mesothelioma campaign here. Then we read that Glasgow Like so many other towns and cities is a HotSpot for Mesothelioma -Glasgow, the largest and most industrialised city in Scotland, has a history associated with shipbuilding, trading and manufacturing. There are some great pictures on this write up But I found this map very interesting . Our Home town is marked in red -is yours ? Doesnt look like we are going to have a White Christmas with the warm weather we are getting. Record high temperatures like 12c-14c and at night is unheard of. Crazy weather. The sun has shone all day. We have been busy in buying and wrapping presents writing cards and all the other things you do to make Christmas a good time. I have so much to be thankful for I do wake up each day and say thank you for seeing daylight through the blinds and another day is here. We have been to the Marsden yesterday to have the 40th session of the wonder drug Keytruda. The alarm went off at 5pm and I wanted to turn over and go back to sleep. I got up saying Oh No! Oh No! but the alarm wasn’t lying. I crawled into the shower and felt more awake as the water fell over my body. OK Breakfast and Ray walked Louis and we were on the road. It was pitch black and there was just a sea of lights from the cars as they reflected on the wet road. You hold your breath every time you come to a hold up and pray it isn’t an accident that is going to hold you up for a long time. We had a break down that bought us all to a stop as we got onto the M25 but the man was able to push himself over to the side and we all managed to get through. We still got to the Marsden on time and I booked in with a smile and went to the waiting room. 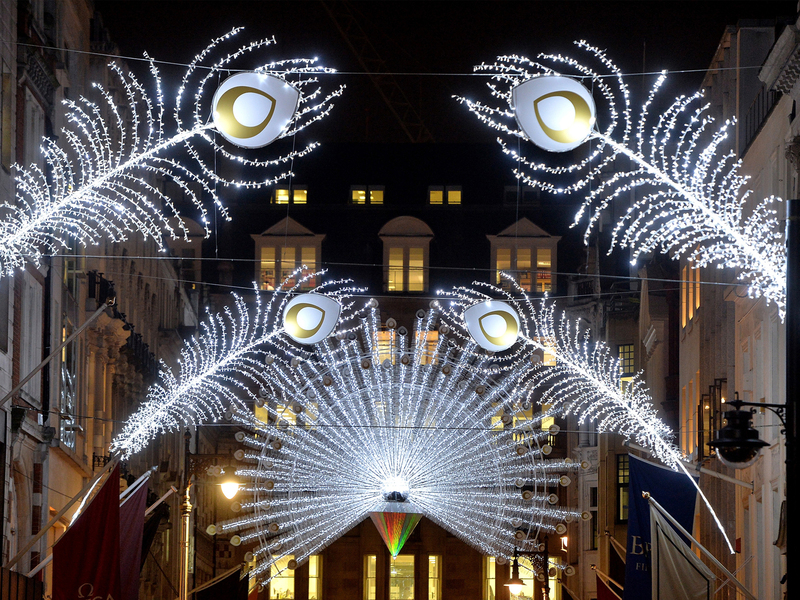 Everywhere was decorated with Christmas Decorations. One lady came in a father Christmas outfit and handed in a Hamper for the Staff. I was called in and bloods were soon done and I was weighed Blood pressure and temperature done I was able to get back to the waiting room and Ray was still asleep. He had been chatting to the sweet receptionist and her colleague in rehab. In to see the Doctor and we had our normal lovely chat. I said how I want to get myself back fit as I was so fit before and feel like an old woman now. He said not to rush to wait and see when I finish the trial and don’t go rushing at it as I recover from all the treatment. I forget how my body is going through a fight at the moment with the Immune system working so hard to kill Mesothelioma. Like David and Goliath. Yes as I have had a great result there is no need to carry on after the 2 years If it grows back I can go back on it again but they dont know what happens now they are learning from me now Im writing the history books of Immunotherapy and Mesothelioma and Marsdens Star Patient they said today That is really great to hear. I left to go to the restaurant after popping my prescription into Boots on Site. I was happy and bouncy and then I just came over funny again. What is it, blood sugar, blood pressure dropping what ever it is it happens at 10am on a Tuesday. That is so silly. Crazy. We got back to the waiting room and then I was sick in the toilets its crazy. I dont know what to do different. I told the Nurse and she has put it in my notes but we dont feel its the drug. Maybe just the strain of the day, of getting up early and rushing out. I have only 8 more drug days left as the trial finishes in May. There are 2 of us left on the drug as the trial had been running for some time when I was the last one to get on it. The results must be being looked at by now and I cant wait to see the final results. How well has it done. Ray asked how much drug did I have and the nurse showed it was 115ml so Ray has worked out I have had 4.6lts since I started. Equal to 4.5 bottles of Lemonade. That’s a lot of drug. I dont want to work out the cost. I just know I’m so grateful to Merck and the Royal Marsden for helping me to Celebrate another Christmas, here with my family. A Huge Hug and a huge Thank you. So with number 40 going through me veins I said goodbye and Happy Christmas to everyone and I was beginning to feel fine again if tired from a long day. As we came out to the Car Park They were erecting the giant Christmas Tree I have to wait until after Christmas to see that lit up. We went home in the dark as it was 4.30pm and it was raining hard. It was great to get home and we relaxed. Today Im great full of beans and enjoyed going out to shop and walk Louis. 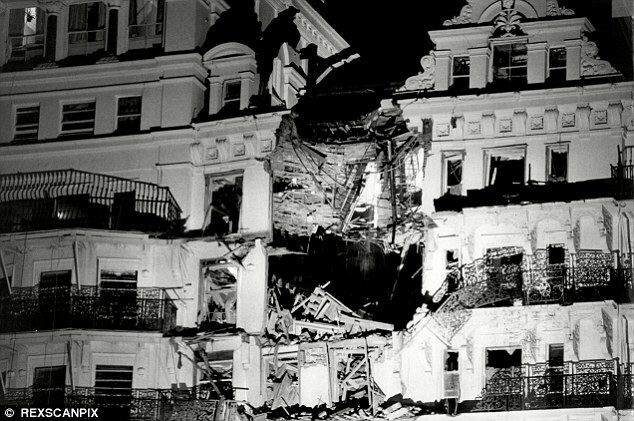 A former anti-terror officer who was one of the first on the scene of the Brighton bombing in 1984 has died from cancer after inhaling asbestos while sifting through wreckage at the site 31 years ago. 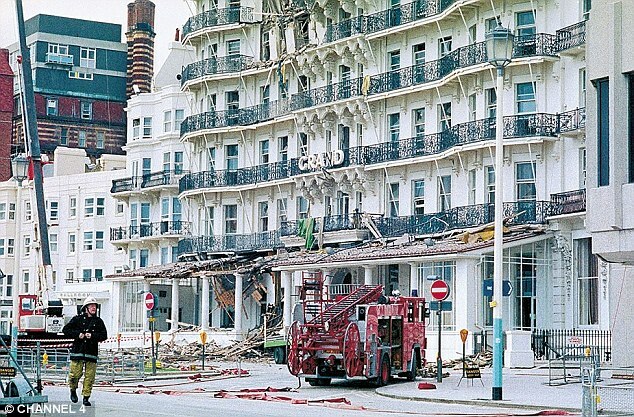 Jonathan Woods, a former Metropolitan Police detective, was exposed to asbestos after arriving at the Grand Hotel on October 12, 1984, after a deadly IRA explosion tore the building apart. Five people died and 39 people were injured when the bomb, planted by the IRA’s Patrick Magee, detonated on the sixth floor – in an attempt to kill the then-Prime Minister Margaret Thatcher. Mr Woods was among the first to arrive at the scene and was part of a team of officers who sifted through rubble and debris at the site in a bid to locate any missing persons. After retiring from the police force in 2002, he moved to France with his wife Sharon but was diagnosed with mesothelioma – an incurable lung cancer caused by inhaling asbestos fibres. Asbestos is a naturally occurring fibrous mineral that became a popular building material in the 1950s. Widely used as insulation and a fire-deterrent, it also found its way into products such as ceiling tiles, pipe insulation, boilers, sprayed coatings and garage roof tiles. What stands out to me is the fact it happened in 1984 it it was only 31 years before the poor man died. Why does it vary so much. Sometimes a small amount of years and then like mine 48 years. Life is calm and quiet on the run up to Christmas. I thought I would be so excited as I have been given my life back bit there is a calm with in as there are no guaranties with Keytruda. Im on Session 40 on Tuesday 15th December. Thank goodness i didn’t have to pay for it like our Australian Warriors. That would be in the region of in the region of £80,000 if at £2,000 per session The benefits of a trial and the NHS. Its at the very early stages and no one knows the out come. I keep being told I’m showing them the way which worries me as I like to know what is ahead then you know what you have to prepare for. What a strange world we find ourselves in at times. I have an Interview to do for a Web Site in the US so that will keep me busy today. Life is full at times of repeating to the world my story. Im just one of many very brave Mesowarriors and I keep in touch with many that are struggling through Chemo. I member the times that I had that struggle. I want them all to hang on and get on the Phase 3 trial of Keytruda that is going to get through to us in early 2016. I have many warriors telling me though that they are doing well on other trials which is good to hear and I wish them luck and a great christmas. Some poor warriors are having a bad time and I was really upset to hear that Linda Lakin has regrowth. She has had pain and we kept telling her it was the nerves etc etc but I think she deep down really knew it was still there to rear its ugly head again. Well it has and she is very positive as she goes on a trial in the New Year. Bless her. we will all be behind her. The news stories and headlines prove it: Donald Trump will do or say just about anything for attention. While the real estate mogul now-turned presidential candidate for the Republican Party has drawn a lot of heat for his comments on gender, race, immigration, and foreign policy, he is also known for bending scientific fact to fit his own business tactics and political agenda. Unfortunately for Mr. Trump, the science just simply doesn’t agree with him. Asbestos and its effects on the human body are well established. The first documented asbestos-related death occurred in 1906 and was recorded as such by Dr. Montague Murray. Murray’s patient, a 33-year-old textile worker, had high quantities of asbestos in his lungs and as a result, died of pulmonary fibrosis. Over a century has passed and there is no longer any controversy or grey area. Asbestos is a lethal mineral. Studies have determined that mesothelioma, a rare but deadly form of cancer, is caused exclusively by exposure to asbestos. Cancer research conducted in the late 70s predicted that, for the next twenty years, up to 18% of Cancer cases in the U.S. would be related to asbestos. Starting in the early 1970s, the federal government began regulating the use of asbestos and eventually banned it from many construction applications by the end of the decade. Since that time, buildings and school districts all over the country have invested millions of dollars in asbestos abatement projects. If there were really any questions about the danger of this near-invisible and indestructible fiber, there wouldn’t be such a widespread and long-standing effort to get it out of our public institutions. Trump, for his part, denied knowing anything about the poor working conditions. He further denied knowing that his employees were undocumented. The Polish employees eventually banded together and filed a class-action lawsuit against Trump for not paying them. After 8 years of legal battles, a federal judge in Manhattan ruled that Trump conspired with his construction contractor to withhold wages from the worker unions. Despite this ruling, both sides of the legal dispute made appeals and the case waged on for another decade before reaching a settlement. In the meantime, many of those workers lived in poverty and some of them died. In truth, Trump is only one in a long line of corporate executives who hope to cover up the dangers of asbestos. Documents exist showing that several large companies have been aware of the dangers of asbestos since 1934, but that they’ve worked to keep such knowledge hidden from the public. A 1978 article in the Washington Post reported that the Johns-Manville Corporation – then the largest manufacturer of asbestos-containing products – had a company policy of not telling its employees that their medical exams revealed signs of the fatal lung disease, asbestosis. This meant that many men and women were not only deathly ill, but being actively deceived by the company for which they worked. A similar incident happened with Georgia-Pacific, a corporation that produced an asbestos-containing substance known as joint compound. Instead of ceasing production on the joint compound immediately and compensating the hard-working employees who got sick, Georgia Pacific paid a team of scientists $6 Million to conduct private research. The point of this research was to “disprove” the harmful effects of asbestos. In both of these cases, billion-dollar corporations used their money to rewrite history and change the laws of science. Denying the known dangers of asbestos is a convenient way for big businesses to duck out of any moral responsibility towards their employees and customers. Instead of offering medical assistance to people who became sick from their products, these companies used money and deception to avoid receiving blame and to protect future profits. Political beliefs aside, the American public needs its business leaders and government officials to be honest and keep the best interests of its working class in mind. When contestants told Donald Trump things he didn’t like on his hit TV show, The Apprentice, he could simply point at them and say, “you’re fired.” Unfortunately, scientific fact isn’t dismissed so easily. Thousands of people are dying each year from asbestos-related diseases like Mesothelioma—now is not the time for false statements, no matter how much publicity they create. Well written I just had to bring to peoples attention just how dangerous these people are that talk in such a way. We should be helping to rid the world of Asbestos not promote it. To many people have lost their lives and loved ones and this really does make me so mad. 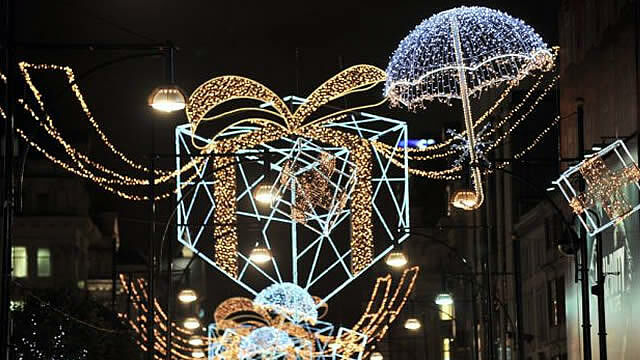 A Diary Of A Mesowarrior UK Living With Mesothelioma-The Christmas Lights Are Lit-We must still find trials for the Warriors that Keytruda is a No No. The wind has died down and we have sun again today with warmer temperatures. 9c today but 10c tomorrow. It makes sleeping very warm under the heavy tog of the Duvet. We have got to keep backing and fighting for continued Drugs as Keytruda has won so much hype but there are so many Mesothelioma Patients that Keytruda does not work for. Chemo’s still play a huge part in the treatment as even with Keytruda it might help to get a better result. The experimental mesothelioma cell killer known as CRS-207 has received orphan drug status in Europe. This will help researchers speed up development of the Listeria monocytogenes-based immunotherapy. Orphan drug status in Europe gives therapy developers there access to protocol assistance and invaluable scientific advice. It also gives the company involved in a drug’s development important financial incentives to keep working on the new product and get it ready for market. CRS-207 is still in the early stages of testing on humans, but has already shown signs of its potential value for mesothelioma patients. CRS-207 induces a potent immune-system response in the form of T-cell mediation. The company developing CRS-207 says the product has been engineered to find mesothelioma cells and make them sick. It achieves this by exposing mesothelioma cells to Listeria monocytogenes. Listeria normally makes you violently ill, but this Listeria is lab-modified to only make mesothelioma cells violently ill. When the mesothelioma cells turn ill, the immune system sends T cells to the rescue. But once the T cells arrive, they recognize the mesothelioma cells — not the Listeria germs — as the target to be attacked. This study is looking at HSV1716 to treat people with mesothelioma of the chest. Doctors treat mesothelioma with surgery, radiotherapy or chemotherapy. Unfortunately these don’t always work and so they are looking for new ways to treat mesothelioma. HSV1716 is a type of virus that infects cancer cells and kills them. We know fromlaboratory studies that HSV1716 gets into mesothelioma cells and can help kill them. We also know from other clinical trials that it is safe and may help people with other types of cancer. This is my main gripe that we have to keep on the ball and if we blink we miss the trials. This was the hardest time of my disease –research research but then if our Oncologists dont know what is out there it is real scary. We have been battered by storms this weekend with the wind howling day and night. Ray saw 2 trees down as he walked Louis up the lane yesterday. We did get out to go shopping. Well we were blown there really and walking from the car parks wasn’t an easy task. The shops were packed although coming through the till was OK. No long queues as yet. We went to get a Christmas decoration and to be honest there was not much there on the shelves. No wonder people shop on line. It has suddenly come to me I really should celebrate this year as my Keytruda trial has given me back the ability to be here for another year. I have been so wrapped up in hospitals and appointments, needles, PICC line, drugs and fighting for Asbestos awareness that I have forgotten that fact. The mind is just not focusing on the fact I do not have to fight any more I have a respite from that. I dont know how long I dont want to know really. I just should be enjoying life. I have a very broken body from the disease that has taken away 1 third of my lung at the bottom. The hard shell that was growing around it doesn’t drop off. The chemo damage doesn’t heal. The peripheral neuropathy is still there and is hitting my balance at times, The leg oedema, decease related is stable. Shortness of breath on exertion and pains in the Lung all disease related but HEY!!! I can live with all that if the cancer has stopped and shrunk to destruction. I have got to build up muscle power and get myself as healthy as possible so a New resolution has to be made. USE a walking stick. Amazing how pride is holding me back. And they say pride comes before a fall. More camping and more fun has to run my life. I have a whole lot of living to do. I dont get that comment about not enough people going for trials. That is not a problem in UK Our Doctors are always amazed at how patients put themselves forward for trials it is how our research teams go forward. What does happen here is that mesothelioma gets left out of the trials by the Drug companies and we have to change their way of thinking. At last in UK the Rare is being dropped from their speeches at conferences. There are more people dying of Mesothelioma than are killed on the roads now. Also –A Federal Department of Health spokesman said it would be improper for the Minister to comment on the merits of an application that first needs to go through an independent scientific assessment process. Clinical trials are research studies involving people. They test whether particular treatments are safe and how well they work. (‘Trial’ in this sense means testing something, and has nothing to do with legal trials or court cases). We need to know: Does a treatment work? Does it work better than other treatments? Does it have any side effects? Clinical trials are designed to answer these questions and improve health and quality of life for patients. Until well-designed trials have been carried out, we simply do not have enough evidence to know if a treatment is both effective and safe. Without trials, there is a risk that people will be given treatments which do not work and which may even be harmful. Experimenting and testing have long been a part of medicine, and there are many different kinds of trial. (See below for an explanation of Phase 1, Phase 2, Phase 3 and randomised controlled trials). It is only quite recently that randomised clinical trials (RCTs) have been generally recognised as the best way to compare different approaches to preventing and treating illness. They can be used to compare drugs, but also to compare other types of treatment, across a range of conditions. But what has happened with Keytruda is it isn’t just for one cancer but for many. 22 cancers have been trialled It is working on most of them for some patients. It isnt for everyone and PDL 1 is sourced within the Bi-Op tissue. Patients need to test positive for a biomarker called PD-L1. (PD-L1 is a protein that binds to the PD-1 checkpoint on immune cells; cancers often make PD-L1 as a way to ward off an immune attack.) In a phase I clinical trial, about 22% of NSCLC tumors tested had PD-L1 expression at a level of at least 50%. This subset of NSCLC had a response rate of 41%. Both nivolumab and pembrolizumab are being tested for PD-L1-positive NSCLC in randomized phase III trials compared to standard-of-care chemotherapy as first-line treatment. These are trials in the US that are coming to us in the UK from 2016 but we Mesowarriors must make sure is that Mesothelioma is always added to these trials. We have to remember that they are for all cancers its not like Chemo any more. Also for those who do not match the criteria of Immunotherapy there are other drugs out there being trialled with good results.